Beach Bummin & Baby Bumpin - made it to 24 weeks! 2 years ago, my wife asked me what I thought about her pursuing a new career. She was working at a job that she didn't enjoy, making a very mediocre salary. I was 100% supportive of her looking for something new. That was until she told me what it was she was considering doing instead; Beachbody. She told me there was a product she wanted to use anyways, but that it could be used to also market a business that would help others and allow her to work from home. She added that it was going to cost us $100 a month that we didn’t really have, and that there was no guarantee that she would make any money doing it. I immediately told her it made no sense and that it wasn't something I really supported. Other things that I added after hearing about some of the amazing success that some of her friends were having, I concluded that it must be a SCAM. I told her that it was better for our family for her to just focus on her current career path until we had kids and she had a reason to stay at home and maybe work with an opportunity like this. Well, to keep this post from being never-ending, I will speed up by saying, I slooooowly starting buying in more as pay checks increased, and then when she quit her job, and undoubtedly when I quit mine. BUT, it wasn’t until this week that everything changed. This was the week that I went from being a bought in skeptic, to a full-blown believer. 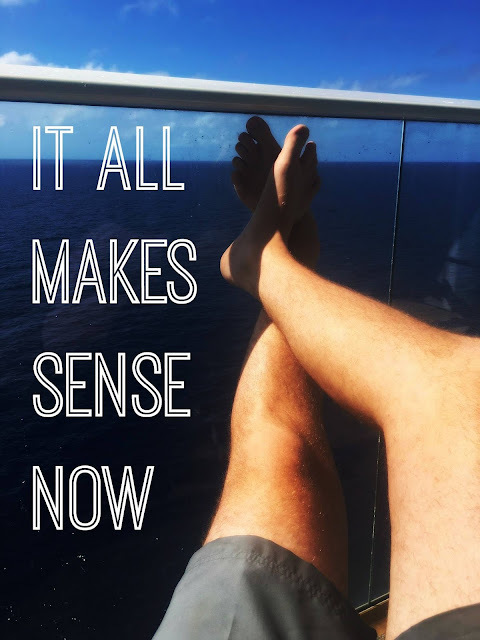 The reason things changed so drastically was not because of income, it wasn’t because of the freedom we have earned, and it wasn’t even because I was on an all-expense paid cruise gifted to us by Beachbody. The reason everything changed is because of the PEOPLE I spent the last week with. It is sometimes easy to forget that there are people on the other end of Facebook, but there are, and it was absolutely inspiring, encouraging and motivating to spend the last week so many GREAT people. I saw a company that is truly working not to just make money, but to HELP people. A company filled with people from all walks of life that together are making a difference. I met people who had stories of transformation from sick to healthy, and from over-weight to healthy. I met people who were working in jobs they hated much like my wife that now are able to work part-time or not at all thanks to the opportunities presented to them by coaching. I met people with 5 kids that used to send their kids to a nanny for 9 hours a day and now get to spend all day with them while working their business. I saw couples that BOTH are staying home living out their passions and helping others together like Shay and I get to. I met people that went from having hundreds of thousands of dollars in medical debt to debt free. I met people with addictions to various things that were overcome by this community. I met people who genuinely care and are passionate, not just about one thing but about life in general. People with goals and visions not to just build a business, but to help others do the same. And the most encouraging part of it all was the too-many-to-count conversations and interactions I got to have with other followers of Christ. It was absolutely amazing to see how many people on this trip were bought into this business not just to be fit, not just to make money, not even JUST to help other people, but to provide a platform to spread the good news of Jesus. And if that isn’t what life is all about, then whatever it is about just isn’t for my family and me. So I’m sorry to the 3-4 people that read this SUPER long post but it had to be said. I had to brag on this amazing company. I had to brag on the amazing people that make up this company. I had to give a shout out to Brittany LeGette and a thank you for her continual love on shay, for introducing our family to this amazing opportunity, and for being one of those Christ followers within Beachbody that doesn’t just hold faith in her heart but wears it on her sleeve. And most importantly, I had to brag on my amazing wife. She has done so much for our family and continues to do so but the fact that she had the vision and desire to be bigger than herself, is what makes me incredibly honored to be her husband. And that’s what it means to be Lionhearted; A Leader, Authentic, Faithful and Strong. Fearless not just for your own good, but for the good of all. I could never love anyone more than I love you, Shay. Blessed and thankful for too many things.